Fleur-de-lis crucifix with a cut-out design. Measures 2-1/4" high. Gold tone metal. Made in Italy. 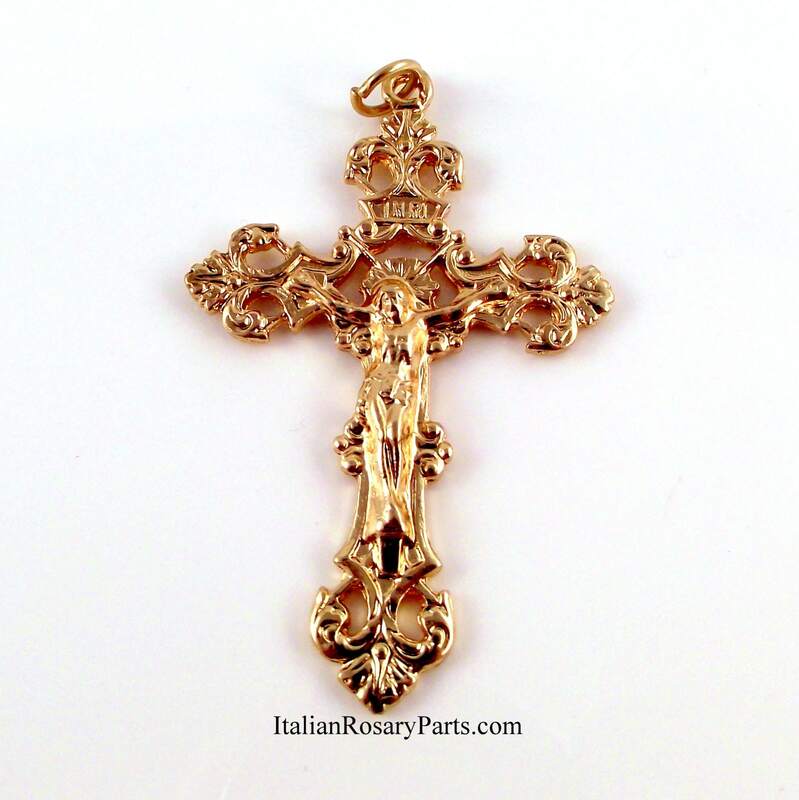 Beautiful crucifix and it came in a timely manner! Nice price as well, thank you. Very beautiful, looked exactly like the picture. Shipped earlier then expected. Totally satisfied.